Assistant Professor Matthew Powell joined the Conservatory of Performing Arts faculty in 2017. Tell us about your career path and what brought you to Point Park University? 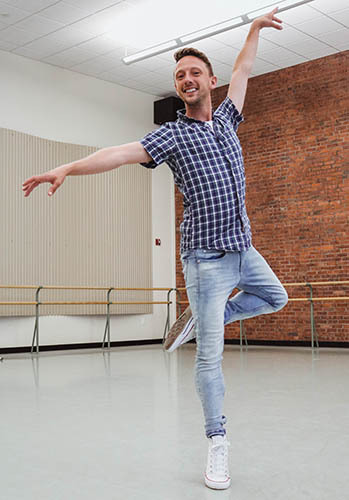 After completing my training at the School of American Ballet, I spent 12 years as a professional dancer with Pacific Northwest Ballet, Kansas City Ballet and the international tour of West Side Story. Following that, I turned to teaching and choreography full time, and was fortunate to work for Royal New Zealand Ballet, Cedar Lake Contemporary Ballet, The Juilliard School, Slovak National Ballet, Oklahoma City Ballet, the Broadway production of Billy Elliot, the television show Flesh and Bone and more. My first introduction to Point Park University was in 2016, when I was commissioned to choreograph a ballet for the Conservatory Dance Company concert at the Byham Theater. The chair of the dance department told me about an opening for a ballet professor. I applied, and boom, I got the job! It’s been an absolute joy to be part of such an amazing team of artists and collaborators at Point Park. I teach classical ballet, men’s technique, and a course titled Entrepreneurship and the Arts, which helps our seniors prepare for life as freelance artists post-graduation. I strive to create an environment in my classes that is welcoming for any and all. I think there is sometimes a feeling that classical ballet is a daunting form of dance. I do my best to dispel this notion by creating an atmosphere that is friendly, fun, a tad humorous, but one that also promotes the hard work and dedication it takes to excel in our field. What have you enjoyed most as a professor in Point Park’s dance department? This is a two-fold answer for me. The first, hands down, are the students. The dancers here are gracious, polite, inquisitive and are some of the hardest workers I’ve ever met. They inspire me to the fullest. The second are the amazing faculty and staff I have the honor to work alongside every day. It honestly feels like we are a good group of friends who come together to do everything we can for the students at Point Park. I wake up excited to go to work, and that’s a wonderful thing. What are some of your goals as you plan for your second year of teaching at Point Park? I am bursting with excitement about the opening of our new Pittsburgh Playhouse in the fall. 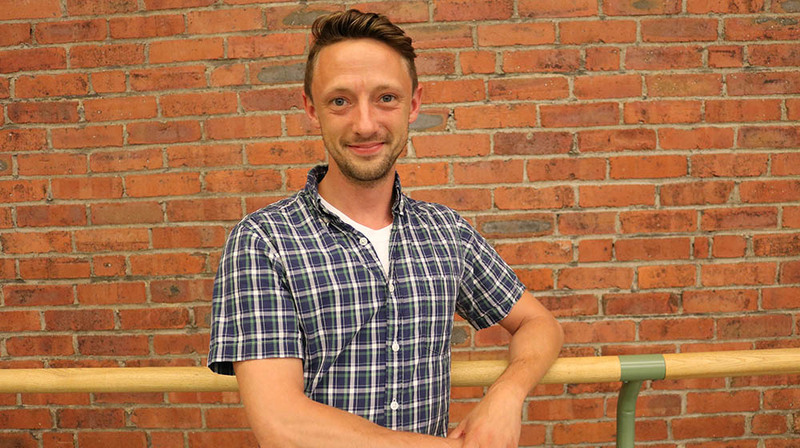 The dance department has a wonderful and challenging performance season next year, including works by Christopher Wheeldon, Nacho Duato and Dwight Rhoden, to name a few. One of my main goals next year is to make sure our students are ready to bring these beautiful works to life. What is your advice to dance students? Breathe! It will all be OK.
As a newbie to Pittsburgh, I love the fact that I can get fries on a salad here!